Guess what today is? Today marks the 6 month anniversary of my blog! I can't believe I've been doing this for 6 months already. I love it so much and I have met some great people and learned so many new things. Thank you all for your support and for sharing my blog with your family and friends! I can't grow without you and your interest in the blog doesn't go unnoticed. What are your plans this weekend? 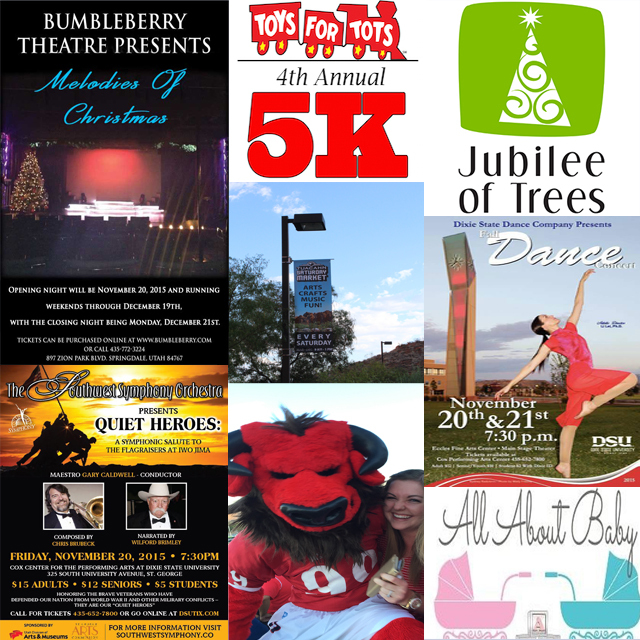 There are a lot of holiday events this weekend! This makes me so happy. Thanksgiving is next week and then we dive right into Christmas! I do have to admit though that I've already started listening to Christmas music...I just love it so much! You know the drill. Below is the Periscope video for those visual people (like me) and there's also a written break down of everything. Enjoy your weekend! 11:30 am World Peace Gatherings ~ Green Valley Spa, 1871 W Canyon View Drive, St. George, UT 84770 ~ FREE ~ Public is welcome! Not affiliated with any particular religion.